CENTURY 21 Arbutus Realty is your source for Vancouver Island real estate. 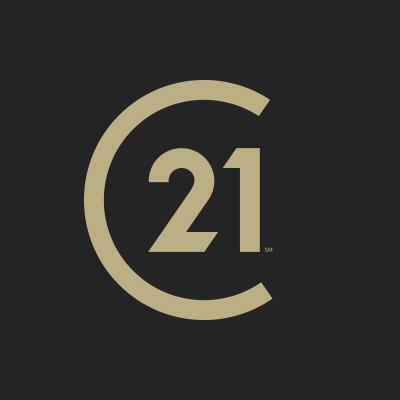 Our "Mountains of Service" is "Connected to More" with the CENTURY 21 System! We specialize in Campbell River, Gold River, the Comox Valley, Oyster River and the North Island. We have three offices to better serve your real estate needs: at 561A 11th Avenue in Campbell River, in The Village Square in Gold River and 2440A Cliffe Avenue in Courtenay. Contact us for a COMPLIMENTARY Property Evaluation. Gain access to the hottest new homes and properties for sale on Vancouver Island with our New Listings Notification. Whether you are buying or selling a home, we want to earn your business. We invite you to contact us as we'd be happy to assist you with this important transaction. Janet Scotland - Managing Broker, first licensed in 1991. Member of Vancouver Island Real Estate Board Commercial Division. Specializing in Campbell River and area, commercial properties, farms, rural properties and property management throughout the North Island. George Roach - George has been a sales professional most of his life, and has been a real estate sales professional for over 10 years. He is experienced in all aspects of real estate sales, including residential and commercial. Dawn Dakin - Dawn’s enthusiasm and fresh outlook as a new licensee gives her a keen desire to work for you. Dawn is available for your real estate needs in Gold River and Tahsis, but also has connections throughout Vancouver Island and British Columbia. Katrina Kaboly - Katrina began her real estate career in 2011, joining with her mother in the Vancouver market. Katrina 'learned the ropes' from her mother, who was an appraiser as well as a real estate agent. Katrina is enthusiastic and motivated to apply her expertise to the Comox Valley/ Campbell River real estate market. Jennifer Dobbelaere - Jennifer is knowledgeable in Real Estate from the Comox Valley to Nanaimo. Meeting new people and helping her clients find the right home are her passions. Jennifer is dedicated to providing service and using her expertise to make each transaction as successful as possible. Rachel Stratton - Rachel has a strong background in the construction industry and is very active in the Gold River community. Whether you are buying or selling, Rachel will be with you every step of the way representing your needs in both a respectful and professional manner. Iris Adams - Iris is a well known & experienced agent, she has many loyal clients because she cares for each client and listens carefully to each client's needs. Whether you are selling or buying, Iris will put your needs first. John Scott - John entered the Real Estate industry a few years ago and is using his experience & knowledge to help his clients buy and sell their homes. He and Iris are partners and are working together to help bring your dreams to reality. John can serve your Real Estate selling and buying needs from Comox Valley North. Dean Casorzo - Dean is Campbell River born and raised, and has been in the real estate business for many years. He is committed to providing his clients with professional service based on his experience, knowledge and skills. Alice East - Alice has served the Comox Valley as a professional, full-time Realtor since 2010 Having lived there since the early 1970's has given her extensive knowledge of the local Real Estate market. 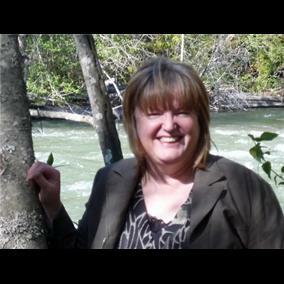 Virginia D'Arcangelo - Virginia is an experienced Comox Valley agent. She knows the communities! Let Virginia help you find the perfect home or investement property.